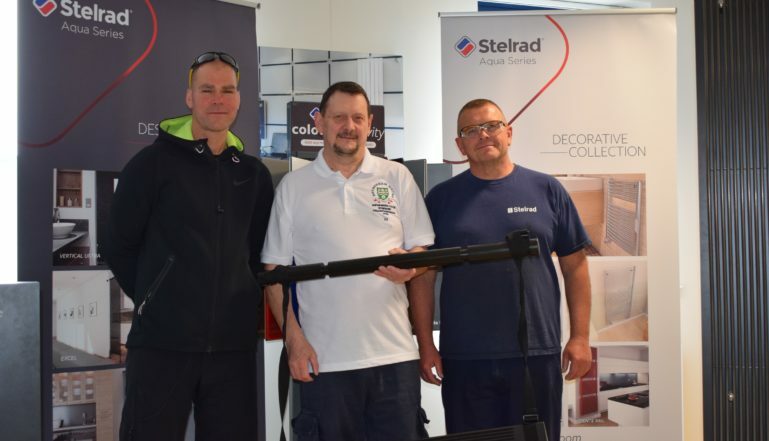 Swimmers at Rotherham Metro Swimming Club have benefitted from support from major local employer Stelrad Radiators in Mexborough. The club has taken delivery of new wedges to help training as well as installing new diving blocks. Backstroke wedges play a critical role at the start of a backstroke race. They give the swimmer a massive advantage because it eliminates any chance of slipping during the start. Metro Swimming Club didn’t have any wedges so Adam Mars, one of the parents who works at Stelrad approached his social, charity & community committee at his place of work for help and it resulted in the company purchasing a back wedge. The company recognise the importance that quality training equipment can have in helping to develop elite sports people. Adam Mars from Stelrad, Alan Kirton, Head Coach Rotherham Metro and Stelrad's Russ Jenkinson at the hand over of the new wedges!